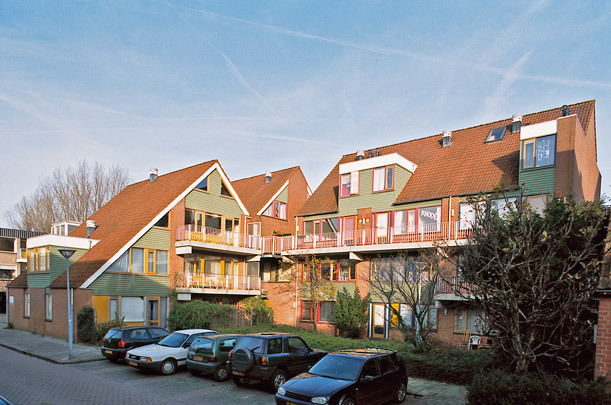 A joint venture by nine housing associations, this estate with its 5600 dwellings was initiated and developed along lines established by the Foundation for Architectural Research (Dutch initials SAR) headed by the theorists Habraken and Carp. In this approach the 'urban tissue' is fitted out with neutral 'supports' for which each resident chooses what in principle is their own 'infill'. The building process was accompanied at all levels by discussion with the future residents. See also the SAR-estate Molenvliet in Papendrecht.